I’ve read and enjoyed Bettye’s books for years. I like romance with a good dose of reality, so Bettye’s books are perfect for me. I’m sure you will enjoy them, too. Tell us a little about yourself. My full legal name is Bettye-Lynn Griffin Underwood. I’m a left-handed Moonchild Baby Boomer, I live in the Upper Midwest, and I’m a writer. What genre(s) do you like to read? The same ones I write: women’s fiction and contemporary romance. I’ve never been into thrillers or westerns or spy novels or stuff like that. And I like my romance realistic; I don’t enjoy fantasy stories. I guess I’m just too down-to-earth a person. What is your favorite novel and why? I have two: Bebe Moore Campbell’s Your Blues Ain’t Like Mine because of her skilled use of metaphors and just overall fine writing; and Jacqueline Susann’s The Love Machine because I just gobbled up the story and didn’t want to stop reading. My goal is to create stories that have the vivid writing Bebe Moore Campbell demonstrated in that book and the can’t-put-it-down plot elements Jacqueline Susann demonstrated in hers. Where do your concepts for your novels come from? I tend to use current events and also obscure facts about celebritiesthat aren’t particularly well-known to the general public. How long does it typically take you to write a book? Hard to answer, because I don’t dedicate myself to one book at a time. I do try to stay focused, but when I feel a strong urge to write a particular scene, I do it. Typically I’m outlining one book, writing another, and doing pre-edits and revisions on a backlist title. So when I’m ready to put the heaviest focus on a single project, its plot is going to be fully laid out and anywhere from 30% to 60% of it is already written. ‘In the years since her husband left her, Tracy Pegram has struggled to support her children, working full-time and taking classes to advance her career. Then her son is injured in a hit-and-run accident…and when she learns the irresponsible driver is the son of a millionaire politician, she wants blood. Illinois Attorney General Keith Norwood’s promising political career stalled after a horrific road accident killed his wife and her mother before his eyes. Voters felt he should tend to his traumatized young son, who also witnessed the crash, and he lost his party’s nomination for governor. Now, four years later, he is running again and leading in the polls when his troubled son, Josh, runs over a child and flees the scene in a panic. In an attempt to protect the teen, Keith and his lawyer offer a private settlement to the injured boy’s mother. I’m very proud of this book, and I’m pleased that it has met with such enthusiastic reader response. Do you tend to base your characters on real people or are they totally from your imagination? I often use names of real people for both major and minor characters: Hilton White (from A Love of Her Own), Hattie Jackson, Schuyler (Skye) Audsley, and Cornelia (Hatch) Hatchet (all from From This Day Forward and The Heat of Heat) come to mind. I may use personality facets in my characters, like favorite sayings by those close to me (particularly my husband). One exception: The character of Jon Lindbergh in A Kiss of a Different Color actually was based on a real person. Are you consciously aware of the plot before you begin a novel, or do you discover it as you write? I am absolutely aware of the plot before I start writing. When I wrote for traditional publishers, I landed new contracts by plotting out my novels in a synopsis before I wrote the book. I find it a good habit, even though I’m now indie publishing, as this prevents me from starting a story and then getting stuck. Does the setting play a major part in the development of your story? Yes. I’m fairly new to my current geographical area of the Midwest (halfway between Chicago and Milwaukee), and find it pretty fascinating. There are the shabbier cities that remind me of smaller versions of my hometown of Yonkers, New York, plus wealthy suburbs, plus gorgeous lakefront homes with private beaches. There’s a rich African-American history here; many people migrating from the South settled in this area to work at the breweries of Milwaukee and the auto plants of Kenosha. Joe Louis used to spend time at his trainer’s house in Carol Beach, on Lake Michigan. Apparently, local kids from affluent families in the area used to go meet his train for a glimpse of The Champ or say hello to him as he’d be out jogging. Add the great city of Chicago. I’ve set most, if not all, of my books in this general area since I moved here in 2006. My other indie titles are available at the Sony store, Kobo, Diesel, and Apple, but I have not yet made Isn’t She Lovely? available for inclusion in these catalogs. What other titles have you written? 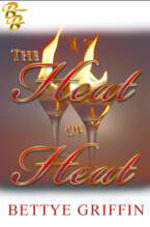 A Kiss of a Different Color (interracial romance), The Heat of Heat (contemporary romance, a three-in-one), Save The Best For Last (contemporary romance, in my opinion a highly underrated book), and an eBook reissue of A Love of Her Own (contemporary romance). My mainstream titles from Dafina (Trouble Down The Road, A New Kind of Bliss, Once Upon A Project, If These Walls Could Talk, Nothing But Trouble, The People Next Door) are also still available as eBooks. Since you’ve been published, how have you grown as a writer and now a published author? My dedication has increased…I now write most days. The quality of my writing has improved, as it does for most writers. There is a direct correlation between the two along the lines of practice makes better (not perfect). I have learned to trust my instincts and let my characters drive the story forward. Plotting a book now comes easier for me, although it can still be challenging. And my editing skills are sharper (although I use someone to help get my work ready for publication). All of this made the decision to indie publish after being dropped by two houses an easy one. I went right into it, actually getting started after Harlequin didn’t offer me another contract but while I was still writing for Dafina. As a result, I’ve never dropped the ball and have had at least one book published every year since 1998. What advice do you have for aspiring authors? It’s all been said a million times before. Anyone who’s truly interested is already doing it. Those who aren’t won’t ever listen, so next question! How can readers reach you? I have two websites that are linked to each other: my author website, www.bettyegriffin.com ; and my publisher website, www.bunderfulbooks.com . My blog, www.chew-the-fat-with-Bettye.blogspot.com , is linked to my author site. And I have pages for both Bettye Griffin and Bunderful Books on Facebook, plus I finally started twittering/tweeting (#BettyeGriffin). Dee here: Thanks for dropping by Bettye.